Hey hey, I’m on vacation and free from my cube at work for a week. I am taking full advantage of my vacation, I guess, since I was awake at 4:30 this morning. At least that left time for me to find another podcast to listen to during my road trip to Wisconsin today. As far as movie podcasts go I really enjoy the Indiewire episodes and The Flop House (I really hope they review my recommendation of Career Opportunities soon) and Rotten Tomatoes is my newest fave. Each episode features various critics from the site talking about movie news, new releases and a certain genre of film before answering listener mail, you know, all of my favorite things. I have a lot of new (and not so new anymore) movies to write about, but then I watched American Beauty again. It’s definitely a film that shaped my love of cinema and, unlike (at least on the surface) its characters, I think it’s a flawless movie. The development of Lester Burnham’s character over the course of the film, primarily through his own personal realizations and interactions with his family, is what stands out from the film and shows how a simple story can be really powerful. Lester’s (Kevin Spacey) narration throughout the film presents the question of whether you should feel bad for him because of what happens in the end or because he seems to be happy in his life again before it happens. The film explores the concept of happiness through all of its characters. Lester’s daughter Janie (Thora Birch) is going through the struggles of being a teenager; her friend Angela (Mena Suvari) thinks there is nothing worse in life than being ordinary when that may be what she is (and there is nothing wrong with it); and Lester’s wife Carolyn (Annette Bening) struggles in her career and has pushed Lester and Janie away through the process. Did she really want to become a real estate agent because she wasn’t happy in her family life or did that make her unhappy in her family life? All of these questions are left open for interpretation by the viewer and that’s another one of my favorite things about American Beauty. It’s thought provoking, but doesn’t go so far as to spell out (or try to spell out) how you’re supposed to feel about the film and the characters. Director Sam Mendes, writer Alan Ball and the cast managed to create a dark film about happiness (one that won five Oscars) and it works. It might not fall under the lighter holiday fare to watch this time of year, but American Beauty is worth another look. Then you can watch A Christmas Story for 24 hours, I know I will be. I listened to Marc Maron interview Danny Boyle (director of Steve Jobs) on WTF this week and their conversation made me think more about some of my favorite aspects of the film. It is becoming more of a front runner for me as far as one of my favorite films of the year and it’s largely due to the acting by Michael Fassbender and Kate Winslet. In my last, short, commentary on Steve Jobs I did not focus on Jobs’ relationship with his daughter portrayed in the film. Boyle and Maron talk some about the relationship and how its one of the key components in the story that bring what flaws and weaknesses Jobs has to the surface. They also talk a lot about Aaron Sorkin’s work on the script and the process to hone it to balance Jobs’ professional and personal life without actually going overboard with the dialogue. I remember very heated, sometimes lengthy, conversations between Jobs (Fassbender) and Joanna Hoffman (Winslet) as Jobs prepared to launch various Apple product throughout the film but Boyle and Sorkin built in effective pauses to let the moments sink in and show the impact of what can be said without words. It’s an interesting reflection to have on a Sorkin script (I am still scarred by the verbose Social Network – or maybe just Jesse Eisenberg) but he and Boyle achieved a healthy balance in Steve Jobs. The film, while still not getting the attention it deserves, has acting nominations for Fassbender and Winslet between the Screen Actors Guild and Golden Globes lists released in the last week. Strong acting seems to be a common thread among many of the top films whose studios are pushing for a spot on the Academy Awards nomination list. For example, Johnny Depp made the SAG cut for his performance as Whitey Bulger in Black Mass. I didn’t like the film as much as I thought I would and, despite the incredibly distracting and unnecessary makeup, Depp did shine through. I’ll leave it to Eric Kohn from Indiewire and Anne Thompson from Thompson on Hollywood on Screen Talk to better explain the unpredictability of which films will make the Academy’s final cut. The Screen Actors Guild and Golden Globes lists have some consistency – but more surprises – which makes me think (or at least hope) that could influence the final word from the Academy. The Academy Award nominees are usually easy to predict by the end of the year, but I’m happy with the unknown for now and how many great films are on the way to theaters before the home stretch of award season. In other news, for the first time in a many years I am going to see a movie on Christmas Day. Our selection depends on what is showing at the theater in up nort’ Wisconsin, but I am pretty, pretty excited about it and getting out of town to spend a week with my family. It’s hard to pick 10 top movies from one year. I even have my movie stubs from 2015 on a bulletin board connected with red yarn and thumbtacks to identify the culprits — but we all know that strategy never works. One of my favorite parts of the film is knowing going into it (after hearing interviews with Jemaine Clement and Taika Waititi on the Nerdist podcast as well as an episode of Sklarbro Country) how passionate they were about their idea and getting the film made. I think A Most Violent Year is underrated or at the least got lost in the shuffle of other films in early 2015. The slow burn of the story that reveals the characters’ inner struggles was an unexpected strength of the film. Spring is definitely my favorite love story/monster movie of the year and one of the most visually appealing on this list. The backdrop of a foreign country really works for the film, not only because of the scenery Aaron Moorhead and Justin Benson were able to capture, but also because it adds to the feeling that Evan doesn’t really know what he is getting himself into by living in a new place and pursuing Louise. I’m obsessed with the show Fargo lately. I’m only in season one, but each episode is almost like a movie in itself and so intense I can only watch one before I have to take a break for a while. Plus I can prolong seeing anything bad happen to Colin Hanks’ character. I can’t take it. Related to Fargo (more the movie than the show) Kumiko, The Treasure Hunter explores more of the true story that inspired the Coen brothers years ago. I saw the trailer for the film in February and was fascinated by the premise and portrayal of the quest of a Japanese woman, Takako Konishi (Rinko Kikuchi), to find the money buried in the movie Fargo, which she believed was real. Oscar Isaac is back on the list. I wrote about this film briefly over the summer and it is one I really want to revisit again soon. Science fiction isn’t really my thing, and this film technically fits in that genre, but it’s subtle enough and presents underlying themes about human nature to keep you thinking for a while. Ex Machina delves into artificial intelligence and testing the ability of one, Ava, to display human emotions. Caleb (Domhnall Gleeson) is selected by Nathan (a Oscar Isaac) to spend time with Ava over one week at his remote house. What could go wrong? The film has its share of twists and turns to keep the viewer in suspense about Ava and Caleb and how much power Nathan, as the inventor, really has. There are certainly scenes where I wanted to close my eyes, but trust me, don’t do it. Oscar Isaac dances, and you don’t want to miss that. I really wish I wrote about this film when it was fresh in my mind. That said, the visual style of the film is one of its many strengths that I keep going back to and that makes it one of my favorites from this year. The coming-of-age film stars Bel Powley as a teen who is trying to grow up too fast and decides to pursue an older man during the rebellious phase of her life. To complicate things, the man (Alexander Skarsgard) is also her mom’s (Kristen Wiig) boyfriend. The story (based on a novel) is told against the backdrop of 1970s San Francisco and with graphical depictions of what is going on in Minnie’s mind as she navigates her teenage years and ultimately learns about her true self. In some ways the story is a bit dark, especially when the relationship between Minnie and Monroe (Skarsgard) ultimately comes back to show the strain between her and her mom. However, in its own way, the film also has everything work out in the end and presents closure to all of the characters’ struggles. It also shows the dramatic range Kristen Wiig has and I hope she has more roles like this in the future (also see The Skeleton Twins.) The Diary of a Teenage Girl will be out on DVD in January. I haven’t seen it yet but Wiig’s film Welcome to Me is on Netflix and getting some critical praise. This is where Jemaine Clement comes back into the picture. Last week, (in August) I saw Clement in one of my favorite movies of this year People Places Things. People, Places, Things is streaming on Netflix now. I have a lot of documentaries on my favorites list this year … but I want to at least highlight Amy and Tig for now. Amy is an in-depth and unique story about Amy Winehouse’s life, and sadly, her death. The film, which interestingly uses mostly audio interviews with Winehouse and her friends and family, starts in her childhood and continues to tell the story of her rise as a musician in London and the U.S.
Tig, which is available on Netflix, focuses on the year since Notaro became sick, her mother died and her cancer diagnosis. Notaro talked about her diagnosis, one day after finding out, during a famous show at Largo in Los Angeles and the documentary also focuses on her work leading up to the anniversary of that show. Fans of Notaro will know some of her story but the documentary provides more of a look into her life and at her as a person than what I’ve seen and heard before. I also recommend “Knock Knock, it’s Tig Notaro,” about her comedy road trip to fans’ hometowns with Jon Dore. That’s where I am now and I am going to close out this list with a film that I did see recently … Steve Jobs. 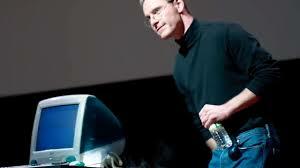 Steve Jobs focuses mostly on the title character’s launch of the iMac in the late 1990s and his professional and personal life leading up to that moment. That’s really what sold me on this film. It equally balances the history of Macintosh technology and the people surrounding Steve Jobs in his life and their struggles with him. Unfortunately the film did not get that much attention to keep it in theaters very long, but Steve Jobs has critical merit and buzz on the awards circuit. Until Steve Jobs is on DVD or streaming, check out Michael Fassbender in Frank. I was hooked on what I thought was a completely fictional movie just from the trailer, only to find out at the end that it’s based on a true story documented in a newspaper article by Jon Ronson. Ronson is the inspiration for one of the main characters, Jon Burroughs, an aspiring musician who stumbles upon an opportunity to play a gig with a mysterious band, the Soronprfbs. The band leader is Frank Sidebottom, who always wears a paper mache head with a face painted on it. The role of Frank Sidebottom is a departure for Fassbender, I think, but he masters the performance and the musical talent of the main character. Fassbender’s voice is key in the film as he performed many of the songs by the Soronprfbs and had to act, for the most part, without using any facial expressions. P.S. If you want to know more about Steve Jobs, I recommend this interview with John Hodgman on The Nerdist.